OCF Board Member Su Embree's vision and innovative work to advance the Emerging Leaders Internship Program (ELI) is noteworthy. The ELI, which launched in 2016, advances leadership that reflects the diversity of our communities. OCF's collaboration with the program, beginning in 2017, has significantly enhanced our work across multiple disciplines – from research and program design to communication and outreach. 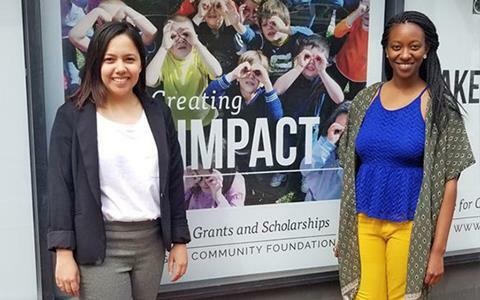 We just said farewell to our 2018 summer interns, Adriana Flores (Grants and Programs) and Amani Austin (Research). The Community Foundation Public Awareness Initiative includes more than 115 community foundations in 45 states working to educate the public about how we’re improving communities. 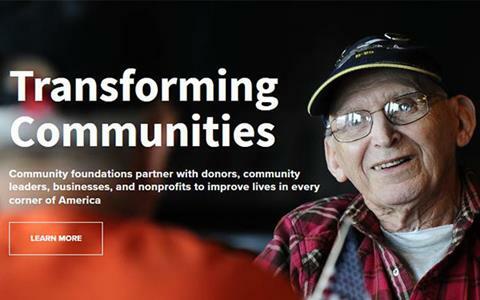 A newly minted website and awareness campaign from the Initiative shares stories of the transformative role and integral work of community foundations across the country. We're excited be part of the Initiative and will share stories from Oregonian change makers in communities across the state. Learn more at commfoundations.com. This month nearly 3,200 scholarship recipients return to Oregon schools thanks to the generosity of OCF donors. More than 1,000 of the OCF scholars are first generation college students. 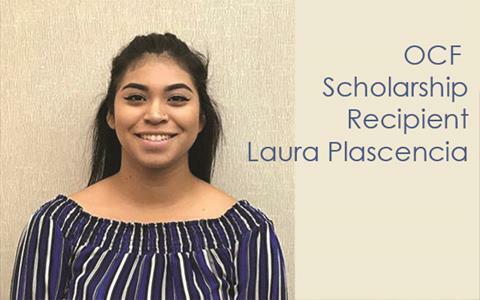 Meet Laura Plascencia from Jefferson, Oregon. She will enter Chemeketa Community College to study nursing, hoping to become a Neonatal Nurse. The Institute for Cultural Initiatives Scholarship Fund will contribute $1,816 to make this possible. OCF is one of the the largest scholarship grantmakers in Oregon, distributing more than $10M last year from 500 funds. 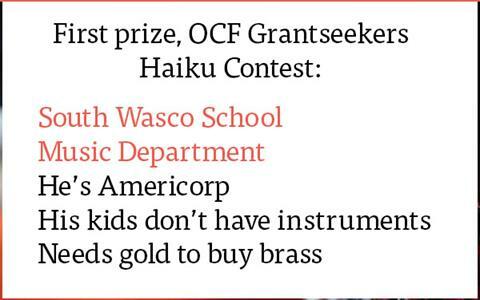 More than 115 courageous Oregon nonprofit contestants rose to the challenge of OCF Grantseekers Haiku. Synthesizing a vision into 17 syllables is no easy task, so it's with pleasure we announce the winners: AC Portland – a $2,000 grant gets active kids some shin guards; Proud Ground – $3,000 for a home buying interpreter; and to South Wasco School District Music Department – $5,000 for much needed musical instruments for students. These nonprofits deliver valuable support to their communities, and we're proud to work alongside them to make lives better for Oregonians. Congratulations! View all entries here. "Libraries are not in the library business, they’re in the community business." Oregon’s 131 libraries have 224 branches and the highest circulation per capita in the United States, yet they receive one of the nation’s lowest percentages of government funding. 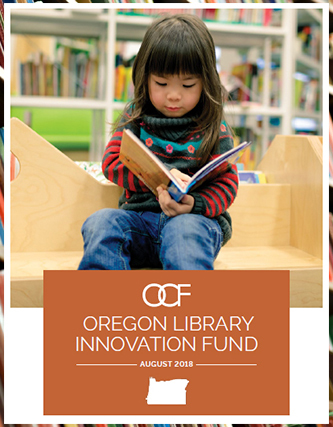 OCF donors recognize the need to support our libraries and The Oregon Community Foundation has responded with the Oregon Library Innovation Fund, which has so far granted nearly $200,000 to 10 libraries across Oregon.